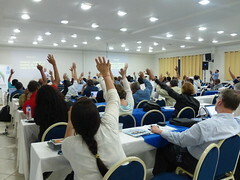 Delegates vote on motions: Delegates from Argentina, Brazil, Chile, Colombia, Panama carried forward motions covering various key issues. 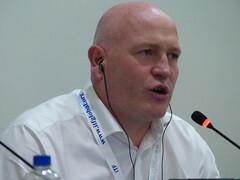 The conference ended with ITF acting general secretary Stephen Cotton who insisted in his closing speech that "everything we do is to make you stronger, it's a pleasure and a privilege to work for you and when we see you unified and making progress it inspires us more"
Antonio Fritz presented the strategic work plan, which was enthusiastically recevied by delegates. 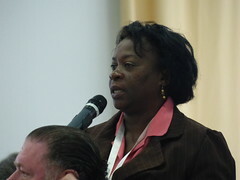 "We should create awareness of workers so union can be strong." said Jose Luis Castillo, SINTRAJAP, Puerto Limon. "Times are changing. Many union structures are from the 19th century and were designed for then. We have to make plans, take a look at our structures and deploy our power. We can transform our realities. 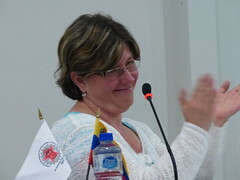 We changed and now we're stronger"
​Jaime Bueno of the CNTTT Brazil explained "Our union model is OK in Brazil but we are frail when it comes to active participation. Workers don't have to contribute and employers take advantage of the gap." 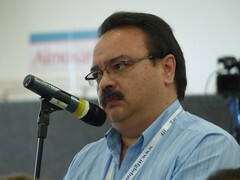 Ismael Garcia Muñoz, Mexico spoke against yellow unionism and fragmentation "we need big powerful unions to face global capital", he insisted. 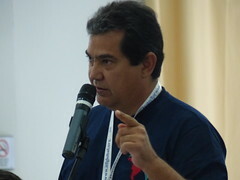 Severino Almeida, Brazil welcomed the plan but urged caution; "Let's be careful not to strengthen those who do not want to help us" he told delegates. We must bring the youth onboard. Positive discrimination is a must. 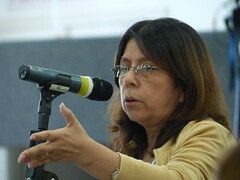 We now have active women in our union thanks to such policies"
"We women were in the same situation.We've shown active participación, youth participation. Experience has to be lived and breathed." "It's good we've got a young workers' committee. We will train young transport workers so they can be leaders, face employers and represent the rank and file"
"We must identify mentors so that there will be a smooth process of integration. Dedication is important. Not only about resources. It's about participating and representation"